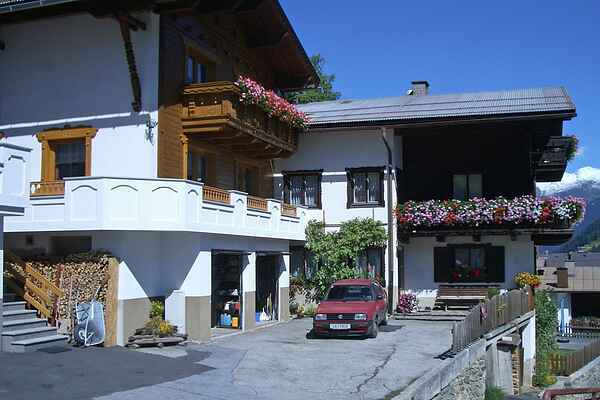 Gandle is a lovely, bright and sunny holiday home located 300 metres from the centre of Kappl, situated on the Dias-Bahn ski slope so you can ski in and ski out. The accommodation has three bedrooms, all with an en-suite shower and sink, a comfortable, well-equipped open-plan kitchen, and two toilets. In summer, wonderful hiking trails and mountain bike routes invite you to explore, while in winter you can ski straight from the house to the Dias-Bahn slope or take the free ski bus directly to the Ischgl ski area 8 km away. The 6km lighted natural toboggan run is a special highlight. In summer, the Silvretta Card All Inclusive gives you free access to all cable cars and chairlifts in the municipalities of Orten Ischgl, Galtür, Kappl, See and Samnaun - no limit, every day, as often as you want. You can enjoy free admission to the indoor and outdoor pools in Ischgl and Galtür as well as the recreational water park in See. You can tour the popular and panoramic Silvretta High Alpine Road for free with your own car or motorcycle, or on the bus.